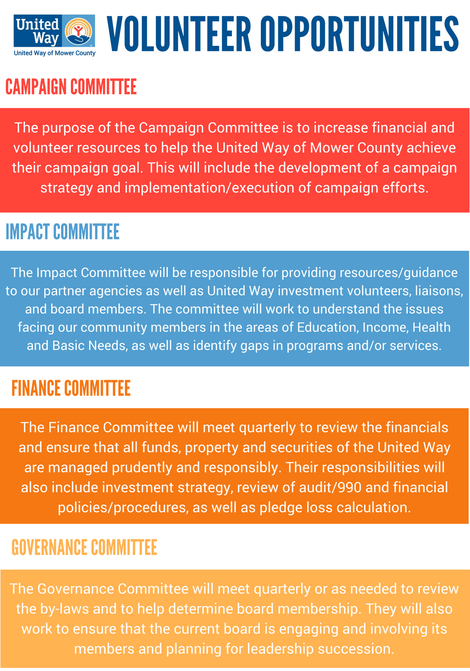 volunteer at the united way. 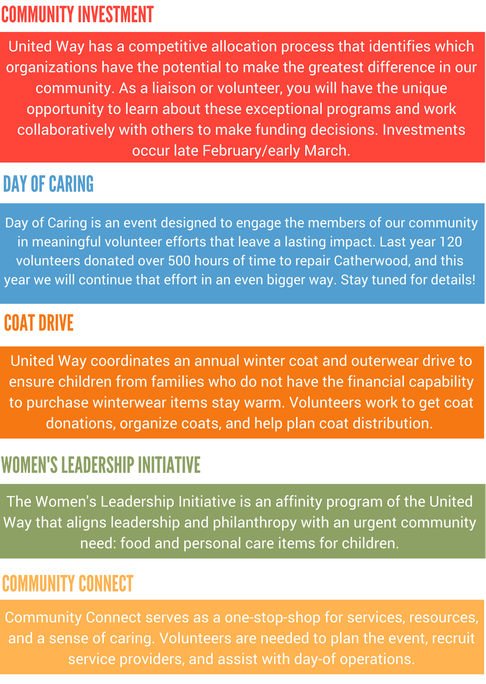 There are many ways to volunteer in our community, especially with local nonprofits and organizations who are always looking for additional help.If you'd like to get involved at the United Way, contact us today! Click the image above to learn about countywide volunteer opportunities.